Have you visited our 24 hour online library yet? Did you know that we subscribe to some really rather useful databases providing a wealth of reliable information and historical newspaper access that Google simply can’t! Even better, you and your students can access these for FREE as library members? We also have a growing range of e-books and e-magazines….Most of our databases can be accessed 24 hours per day from the comfort of home (or in all our libraries during opening times), unless otherwise stated. Swindon Libraries and Information Services offers a comprehensive range of resources to promote literacy and reading for pleasure. Many of our services are available free of charge, including quality book stock, free School Library Cards whereby you can take out up to 40 items for 6 weeks, a range of activities for children and families, online resources and our Summer Reading Challenge. Alongside this is our traded offer to Early Years settings and Schools. Continuing Professional Development Course: Bringing Story Time to Life. Bringing Story Time to Life – a 2 hour workshop for Teachers, Teaching Assistants (TAs) and Early Years practitioners on best practice for bringing stories alive and running story and rhyme times. ‘Great session. Inspired me to new challenges when reading & choosing books with children’. 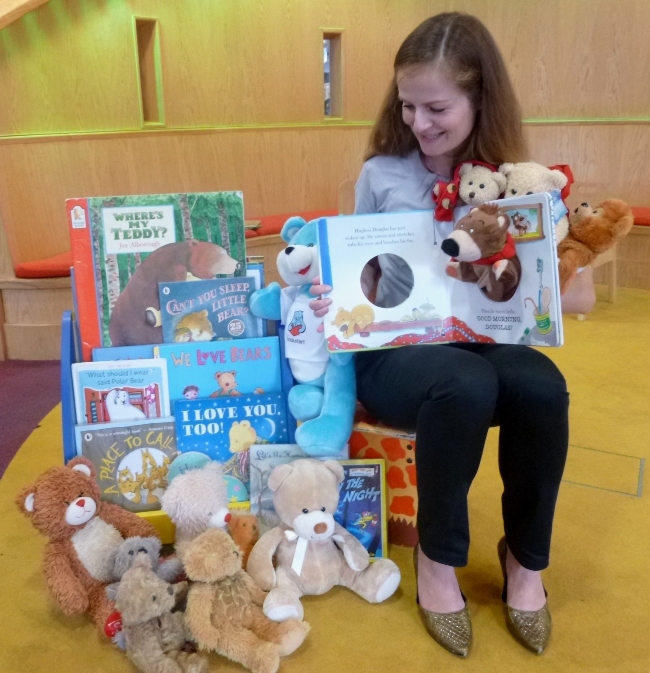 New for 2017: Delivering Story Time – this is an interactive session for early years and Key Stage 1 pupils, bringing our knowledgeable experience and resources to suit your requirements. This could include Story Sacks, Bag Books, the Book Bike and musical instruments. This session also works well as peer-modelled training for your staff. New for 2017: Advanced Internet Searching and Website Evaluation for Teachers and TAs – this course comprises 2 modules: Advanced Internet Searching and Website Evaluation. Each module can be delivered as a standalone session at 1.5 hours or a full session comprising both modules at 3 hours. • Choose and use a range of advanced Google search technologies effectively. • Choose and use a relevant resource to find information on the ‘invisible web’. • Use 5 criteria of website evaluation to critically evaluate digital content. • Adapt criteria for age appropriateness of their pupils. 1. Check library opening hours to help plan your visit. 2. Let us know when you are coming so that we can be ready for you. Email us at librariesoutreach@swindon.gov.uk or call the library you want to visit at least one month in advance. 3. Request materials before your group arrives. If you have special requests other than general browsing, then please let us know in advance. Young people from Highworth Warneford School attending John Kirk performance of Private Peaceful. We cater for classes from ages 3 – 18 years and have a range of age-appropriate resources to make the visit enjoyable and informative. Trained library staff use these resources to introduce groups to the library, get children on their feet to explore the space and visits include a storytime for younger visitors and quizzes for older children. Class Tickets can also be set up so that groups can take up to 40 books for 6 weeks. Once your group has been introduced to the library, we encourage you to come back with your group on a regular basis. These visits do not require extra input or guidance from a member of our staff. Please liaise with the Library Supervisors to plan regular timetabled visits. Teachers and adult supervisors must stay with the group, and participate in activities where appropriate. 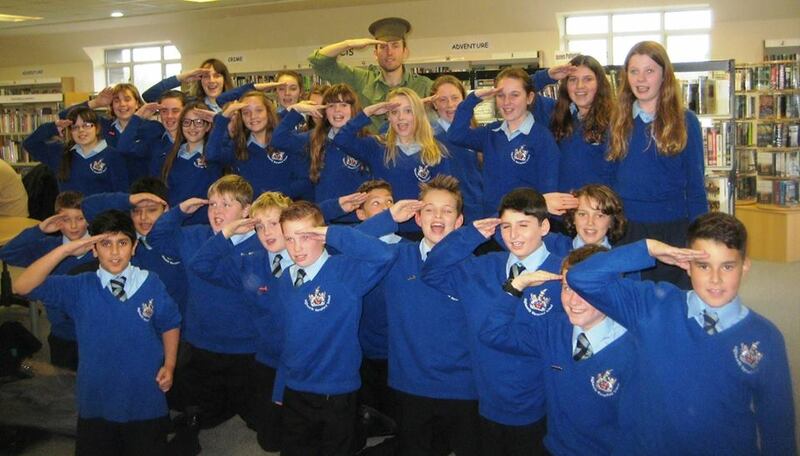 We offer a wide range of resources which can help teachers across a wide range of subjects – including family and local history, the Great War, the GWR, and the Victorians. We can help children of all ages bring the past to life and learn about the history of their town, their school, their house or even their own family! We have thousands of photographs (1850s to 2015), complete runs of historic local newspapers, local maps (1700s to 2015), and much, much more!